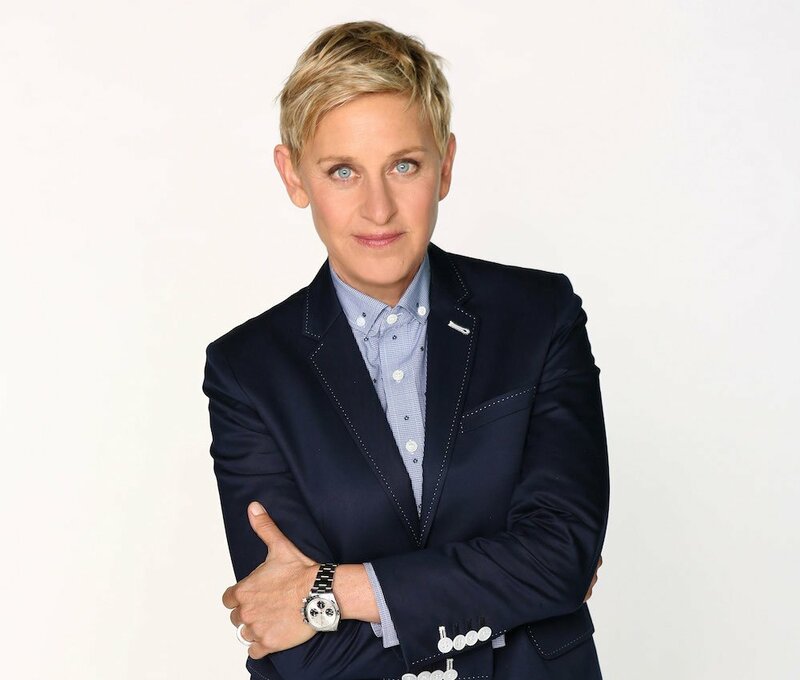 What do Jennifer Aniston, Lindsay Vonn, Elle MacPhearson, and Ellen Degeneris have in common? Beyond the obvious fact that they’re all women, that is. If you answered Rolex watches, you’re right. But only partly right. The answer I was really looking for is men’s Rolex watches. That’s right. In the face of the Lady Rolex Datejust at its diminutive 26mm, the midsized Datejust at 31mm, and the recently reintroduced line of Oyster Perpetuals at 31mm and 34mm, these women and others like them are wearing the big models, the Day-Dates, Submariners, and Daytonas at 36mm and above. 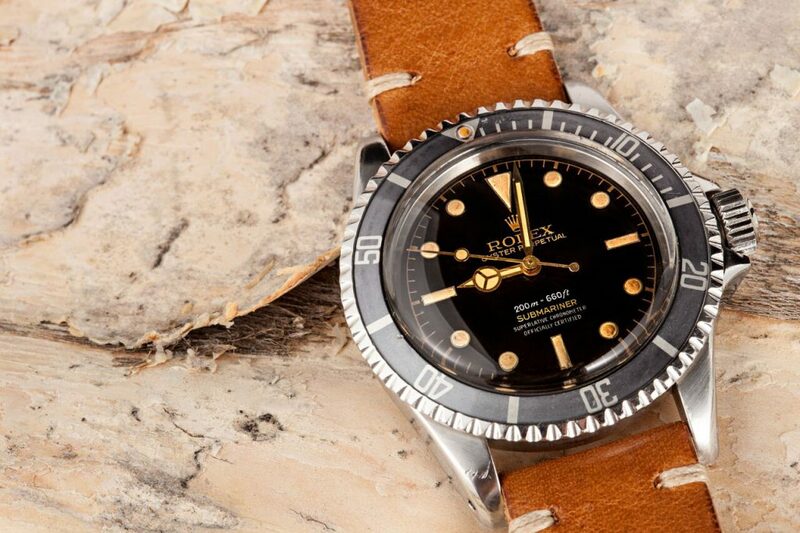 Watches that were originally intended for men. Those watches tip the calipers at 36mm, 40mm, and 40mm, respectively. On the more slender wrist of a woman, those watches make a particular statement. And it’s not just celebrities who are wearing the men’s watches. Walk around any jewelry and watch trade show and you’ll see men’s Datejusts and Day-Dates – and a smattering of Submariners and Daytonas – on the wrists of women on both sides of the display cases. 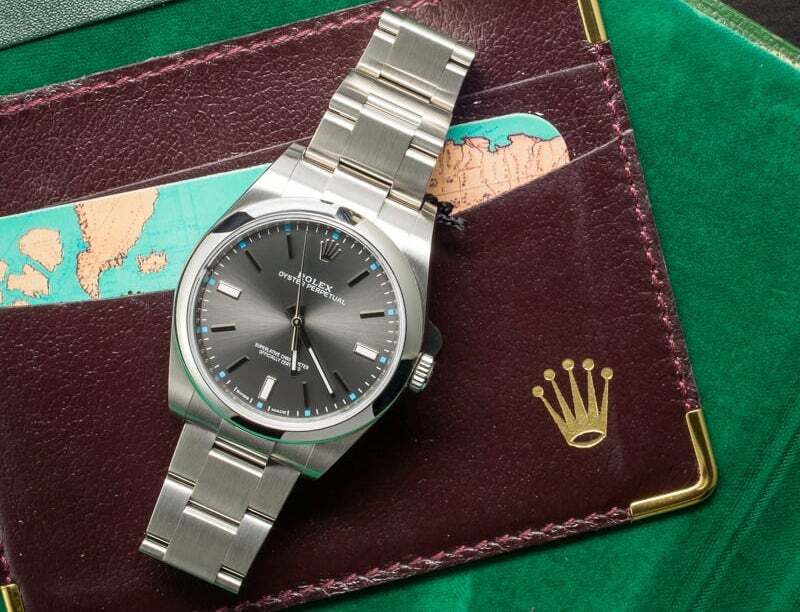 In fact, I think the trend of women wearing bigger Rolex watches is at the heart of Rolex’s reintroduction of the entire Oyster Perpetual line, which includes colorfully-dialed timepieces all the way up to 39mm. Many of them have dials in colors not typically associated with men. Then there was this lot of four pastel Daytonas from the early 2000s that sold at Philips a year and a half ago. Definitely aimed at a feminine crowd. And remember the Stella-dialed Day-Dates? A strong man could wear one, but the pieces really seemed like they were aimed at women. Jennifer Antison buys a Rolex watch. 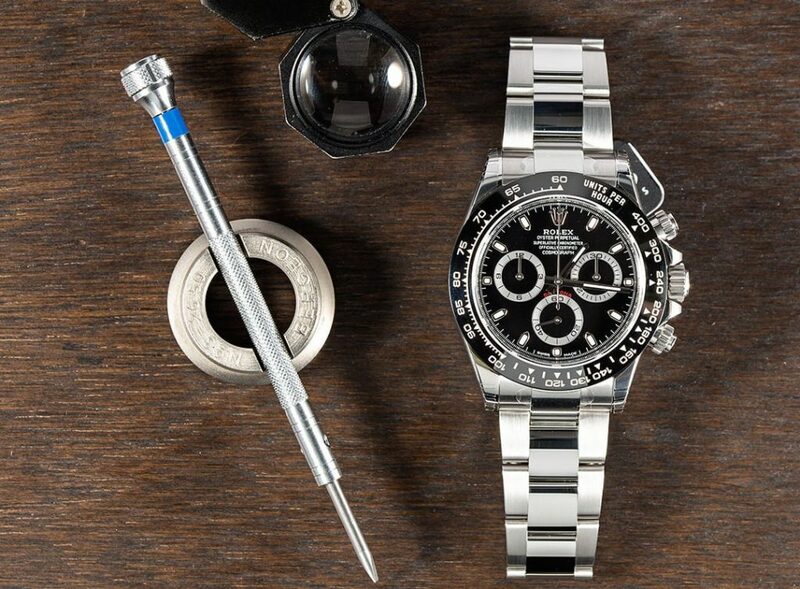 Those Oyster Perpetuals and those pastel Daytonas are beautiful pieces – with standard issue Rolex quality. No doubt we’ll see more and more, especially the Oyster Perps, gracing the wrists of women everywhere. But there’s no denying the appeal of a large (relatively speaking) yellow gold watch snuggled in amongst bangles and richly beaded bracelets on the wrist of a female watch & jewelry aficionado. Besides, as my wife points out, the bigger ones are a lot easier to read.